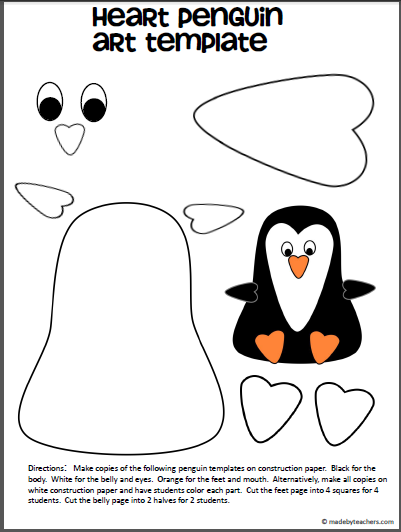 Free printable for creating a penguin using heart shapes. 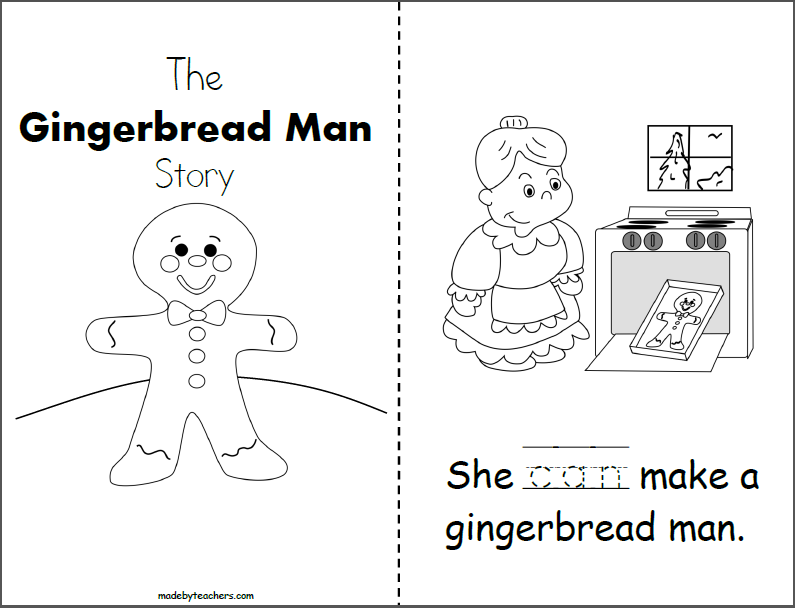 Great for Valentine’s day or any penguin unit. 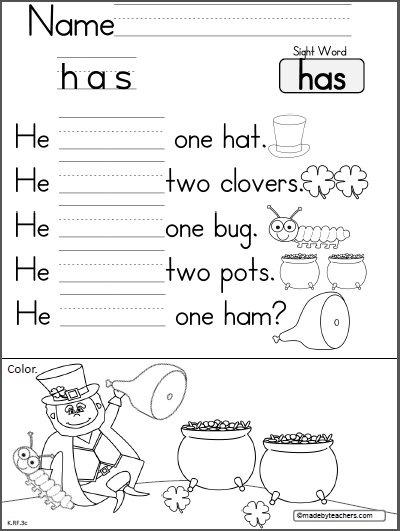 Practice writing and reading 'he' and 'has' on this St. Patrick's Day worksheet. 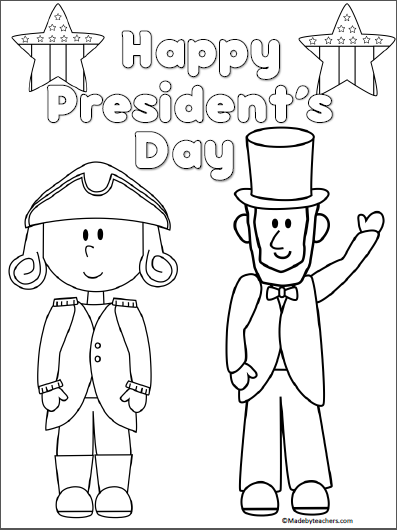 Excellent President's Day coloring page.